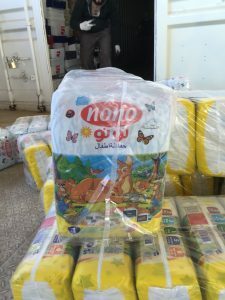 Good news: I have sent the $35,000 to Iraq needed to purchase 500,000 diapers for distribution in September. 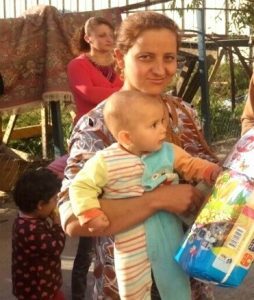 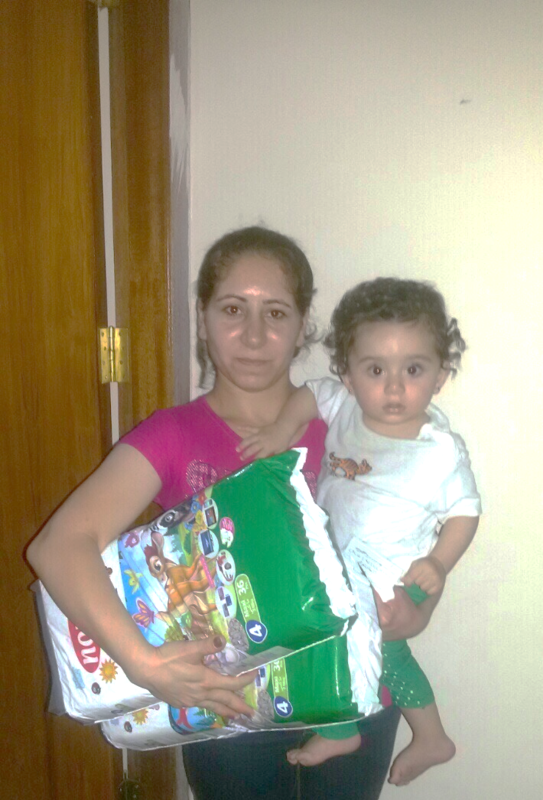 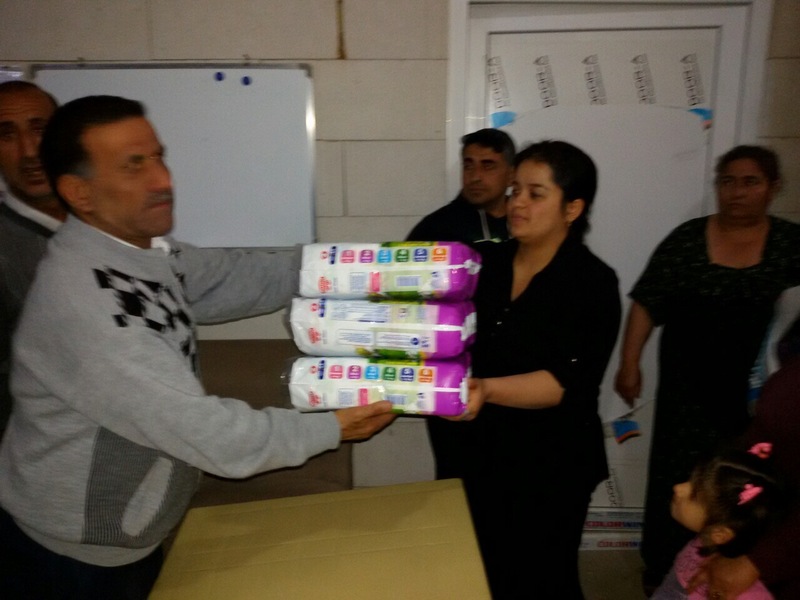 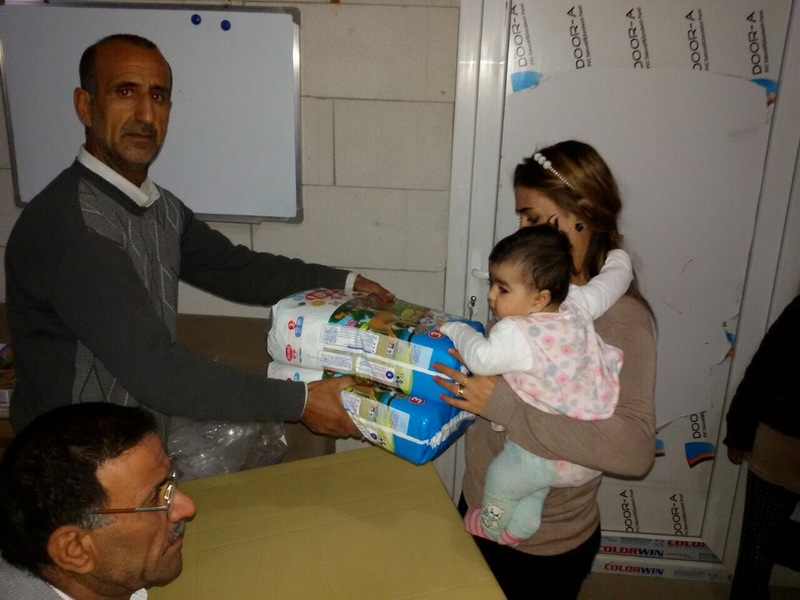 We distribute six sizes of diapers to displaced Christian families. 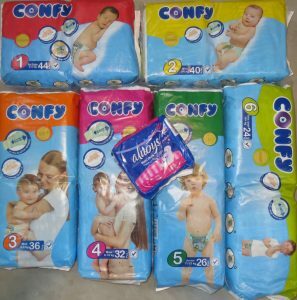 The small blue package is women’s sanitary pads. 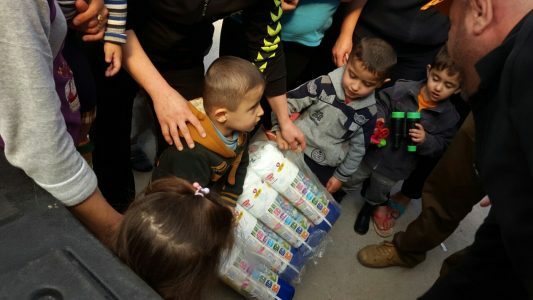 Not pictured are adult diapers for special needs individuals. 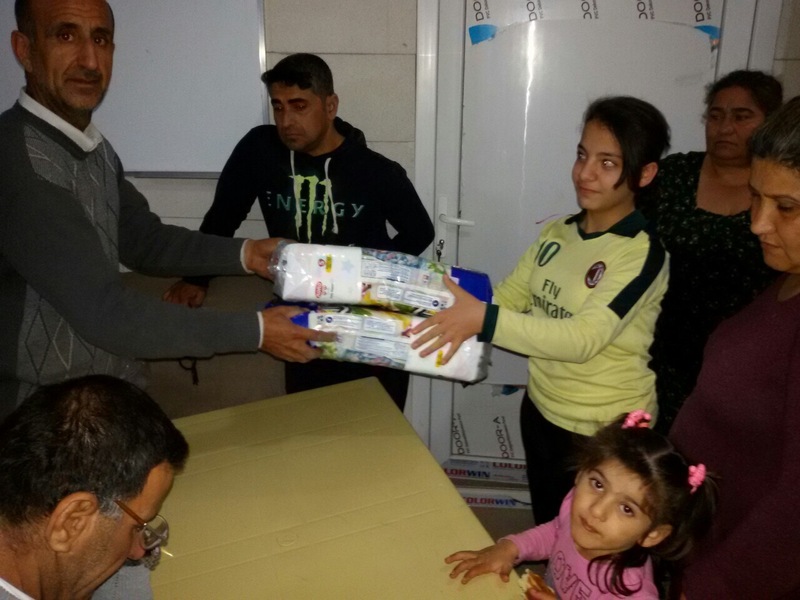 Bad news: We still need $35,000 for the December distribution at the same time we are preparing for the Christmas for Refugees program expansion. 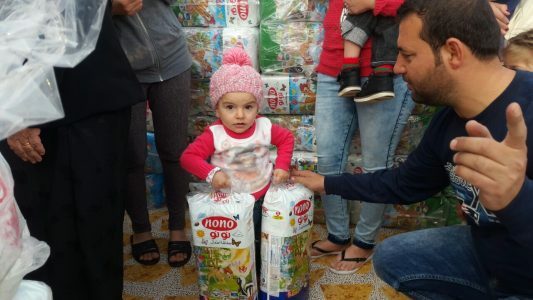 It will be difficult to raise the $35,000 needed for the diapers at the same time we are raising funds for the Christmas for Refugees program which will be serving refugee children and their families in four, and hopefully five, different nations. 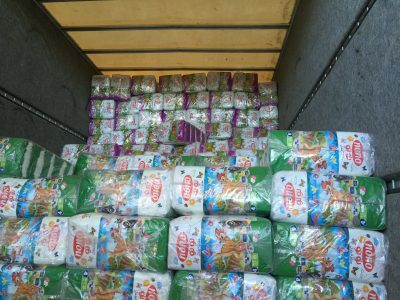 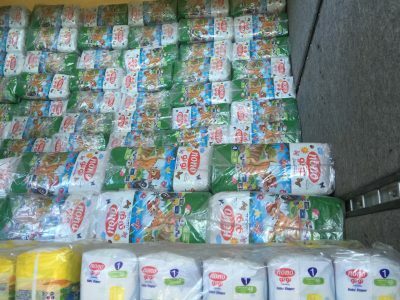 We are currently buying 500,000 diapers at a time which greatly reduces the cost. 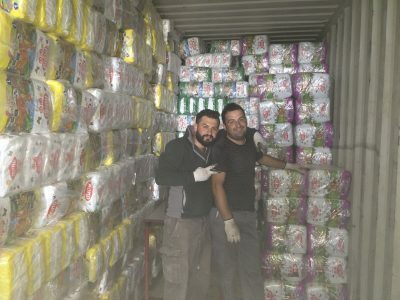 Each diaper shipment supplies diapers for about 2,000 infants and toddlers over a three-month period. 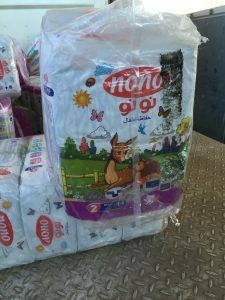 Since we buy in this quantity, we can buy them direct from the factory in Turkey for just 3.7 cents each. 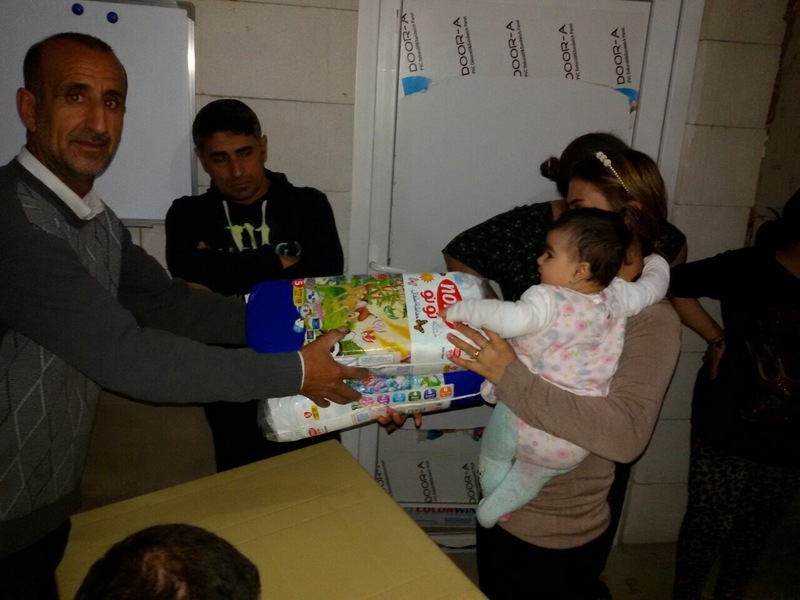 Over a three-month period, around 300 diapers are distributed per child. 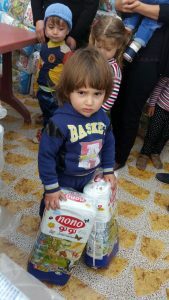 The actual number for each child depends upon age. 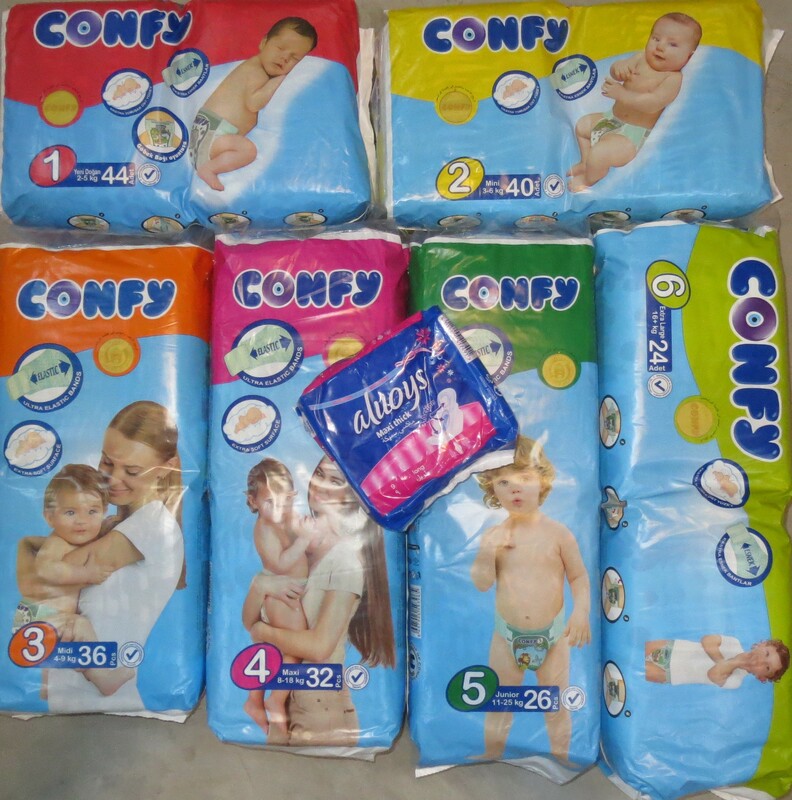 Packages contain from 24 to 44 diapers depending on the age. 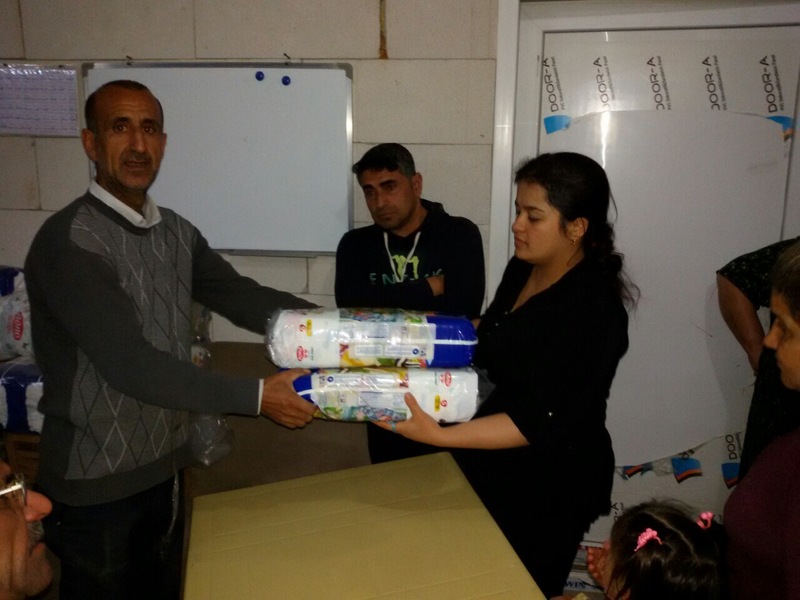 The Diapers for Refugees program began in 2016 when I learned of the horrors caused by a lack of clean diapers. 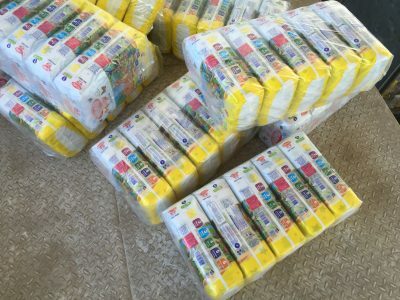 Some babies were scarred for life from extreme diaper rash that became infected. 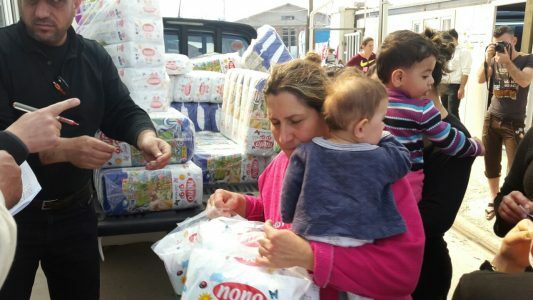 Cloth diapers could not be washed properly as there was no hot water and so many people were sharing the limited bathroom facilities that there were outbreaks of disease. 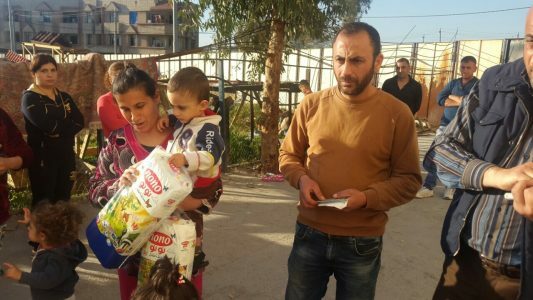 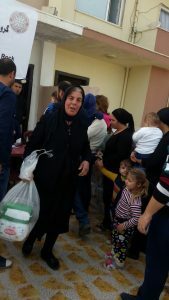 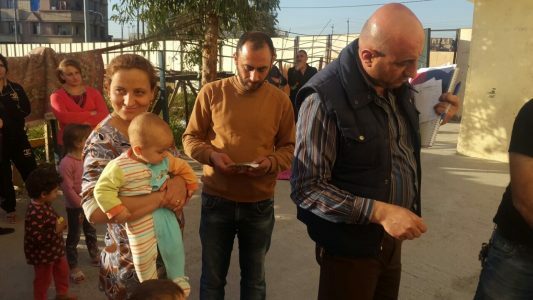 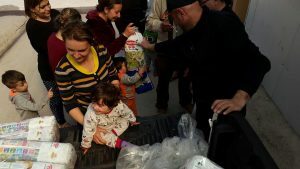 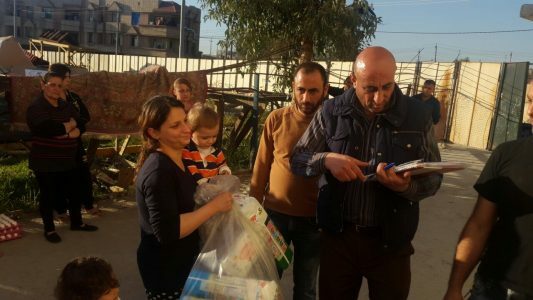 As Christian families move back to their looted and burned out homes in the Nineveh Plain, the situation has not improved. 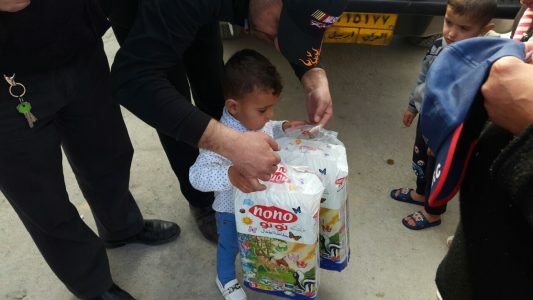 The well water has the same content of salt as sea water and can’t be used to wash cloth diapers. 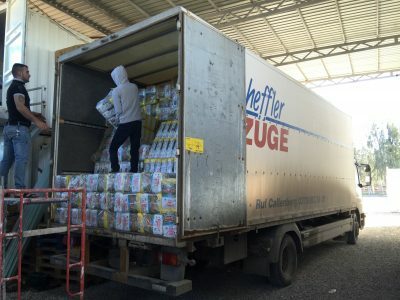 Drinking and cooking water must be trucked in for perhaps another year, until lines are repaired to bring in fresh water from elsewhere. 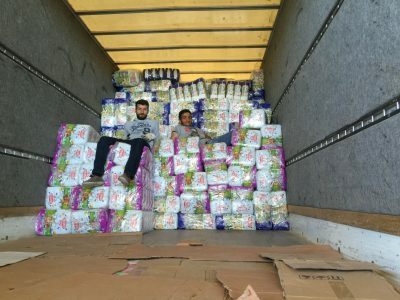 Adult diapers are a separate issue. 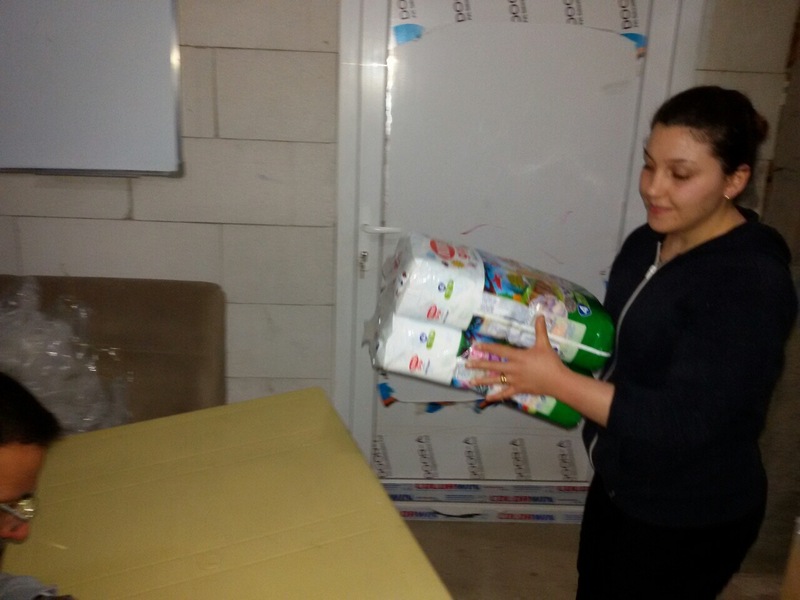 We are buying 888 packages of special needs adult diapers for distribution in September. 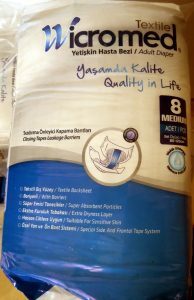 These are very high quality manufactured in Turkey. 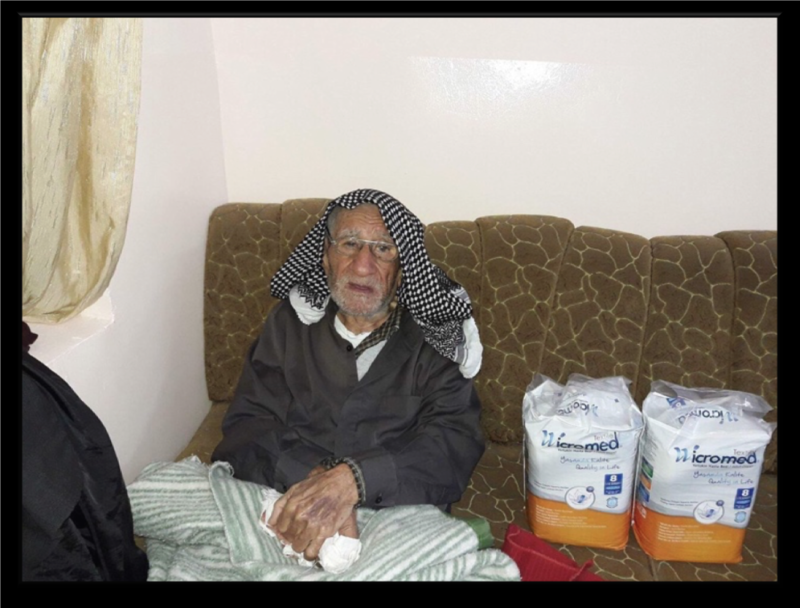 There is a great need for these among very elderly Christians who did not receive critical medical care earlier. 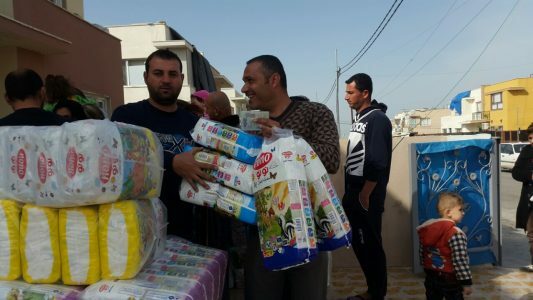 Please pray with me that all the funds needed for the Diapers for Refugees program for the rest of the year will be raised well before the beginning of the Christmas season. 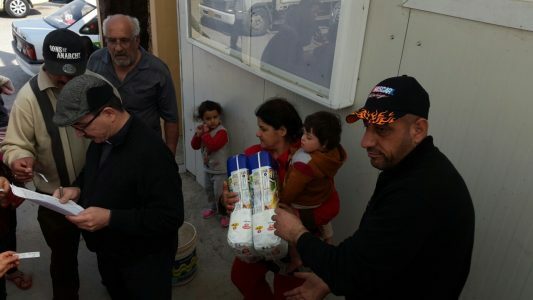 There is a critical need. 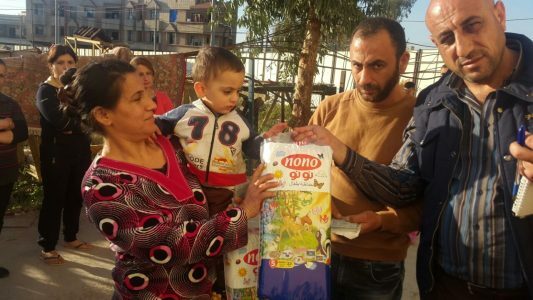 I do not want to be forced to choose between funding the Diaper program in December or cutting back on the number of children and their families we can help celebrate the Lord’s birth at Christmas for Refugees events. 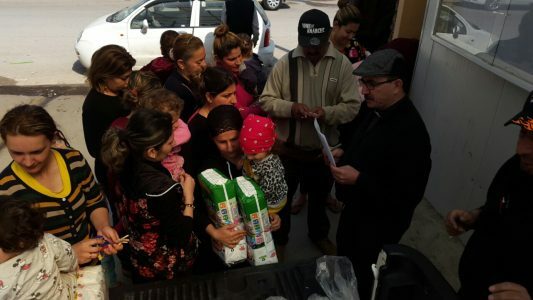 Many Christian residents of towns surrounding Mosul that have been liberated from Islamic State’s control have started returning home only to find their homes booby-trapped, in ruins or uninhabitable. 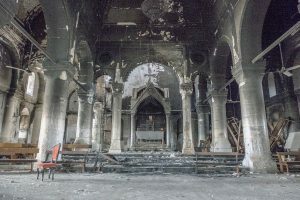 In August of 2014, the Islamic State drove many religious minorities, including Christians and Yazidis from their homes in order to establish their caliphate. 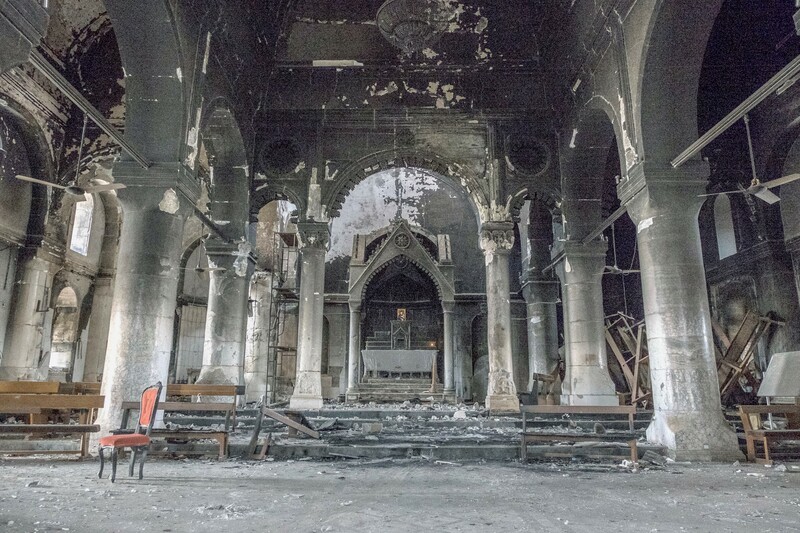 Since then, these religious minorities have been subjected to persecution and genocide at the hands of ISIS. 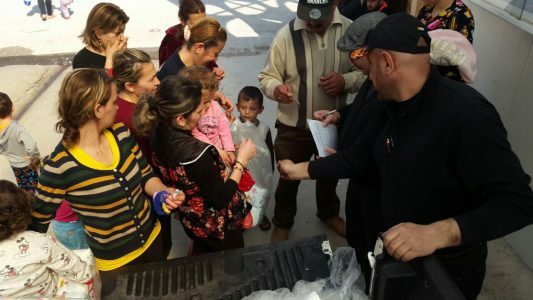 Thus far, the villages of Bashiqa, Bartella, Karamles, Qaraqosh and Tellisqof have been recently liberated from the Islamic State but the Nineveh Plains Units, the Christian militia; and Iraqi Special Forces, but many of the villages were left completely destroyed. 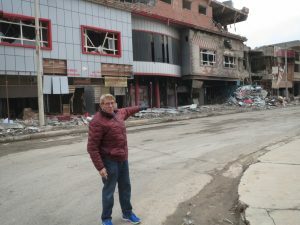 Many homes in these villages were either burnt to the ground or looted when Islamic State militants abandoned them. 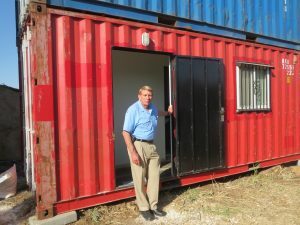 William Murray next to entrance of one of the modified containers used as an office. 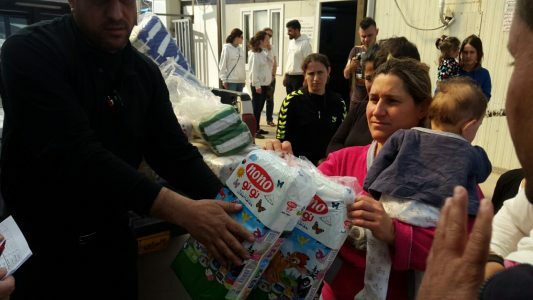 In some cases these are used as homes for refugees. 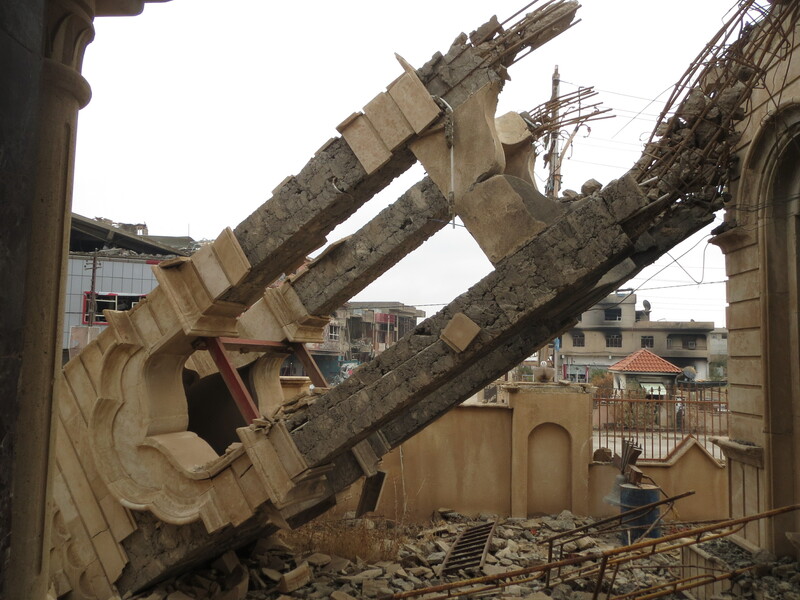 This is a 20-foot model that is near completion. 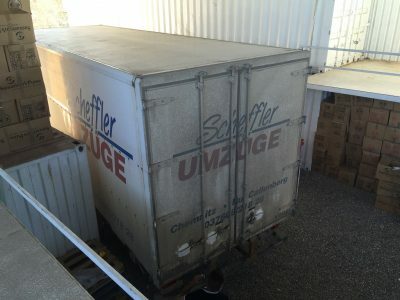 A 40-foot model is also being prepared. 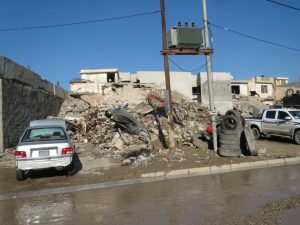 Nicholson, and many others, believe rebuilding the Nineveh Plain will take years. 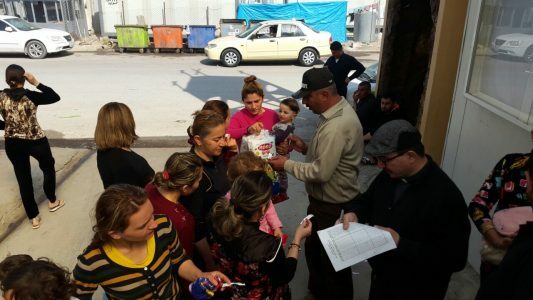 Christians face greater oppression today than under Saddam Hussain. 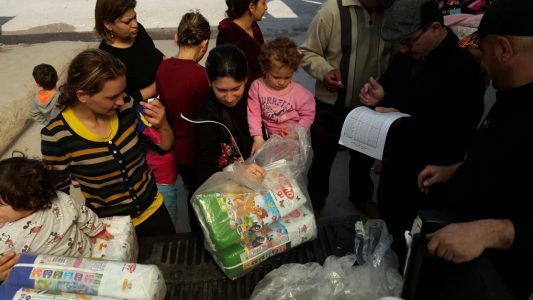 This is why Christians fled from Baghdad north to the Nineveh Plain and Kurdish areas. 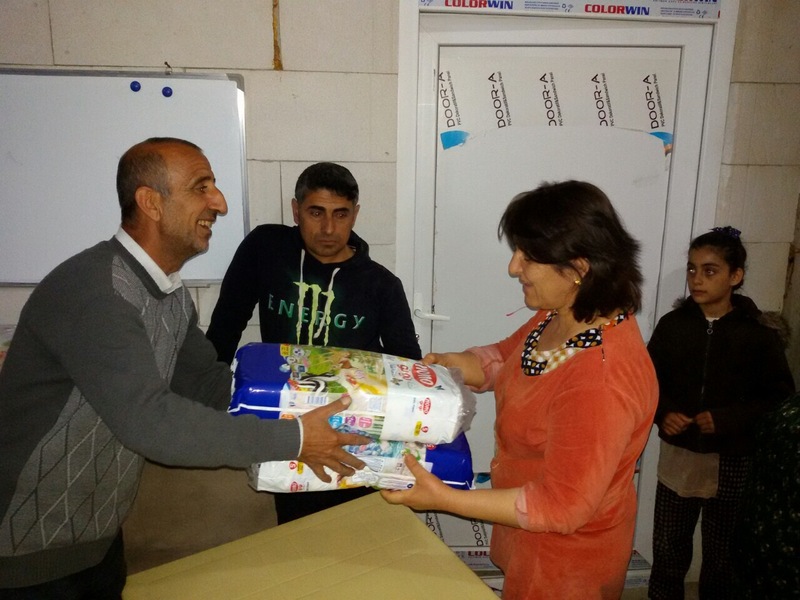 It is in these areas that our Diapers for Refugees and Christmas for Refugees program is operating. 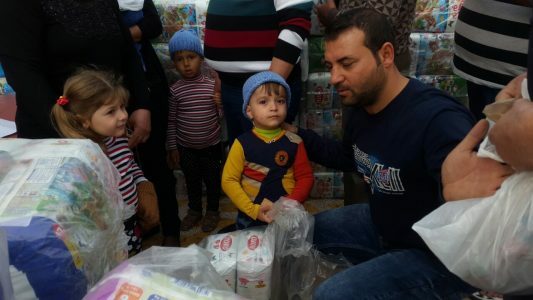 We are currently in the process of planning ways to expand our Christmas for Refugees program to incorporate other towns that have recently been liberated from the Islamic State’s control. 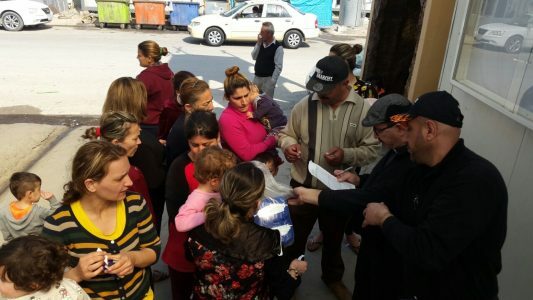 Religious Freedom Coalition sponsors two programs specifically for helping Christians facing persecution in the Middle East, specifically those who fled from the Nineveh Plain. 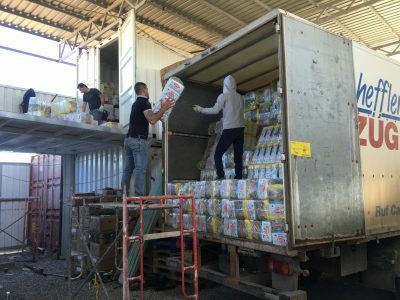 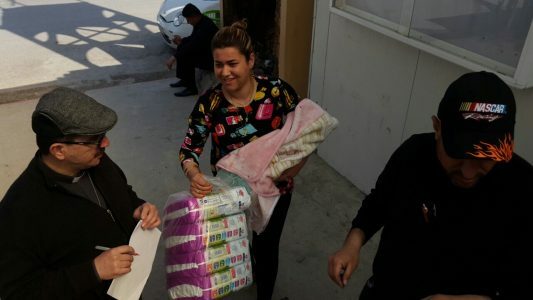 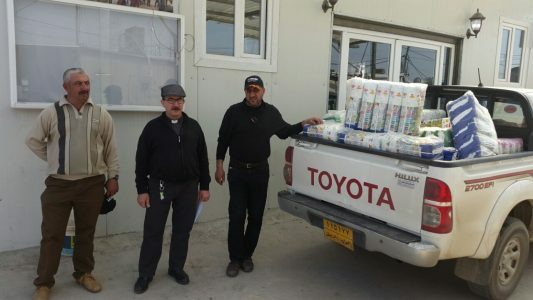 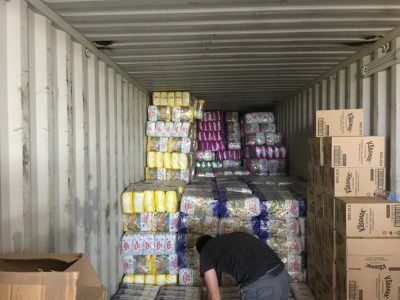 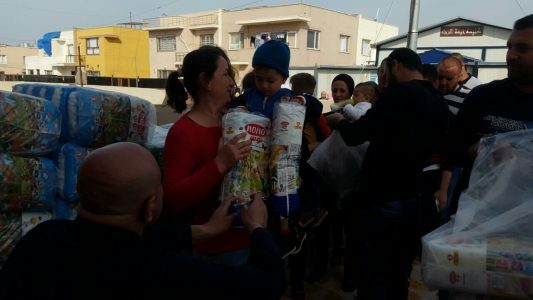 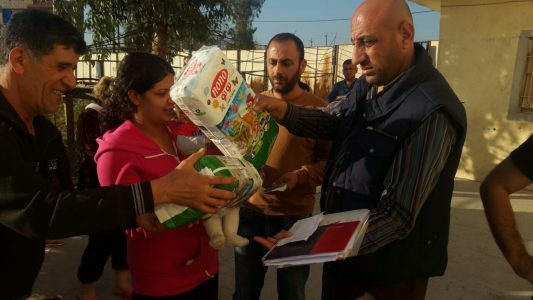 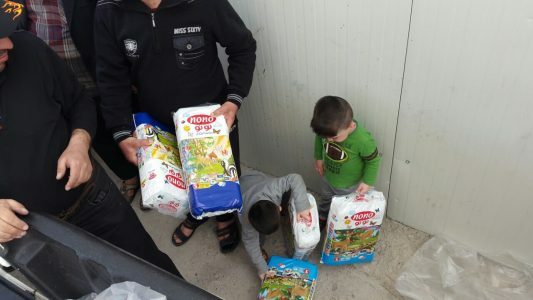 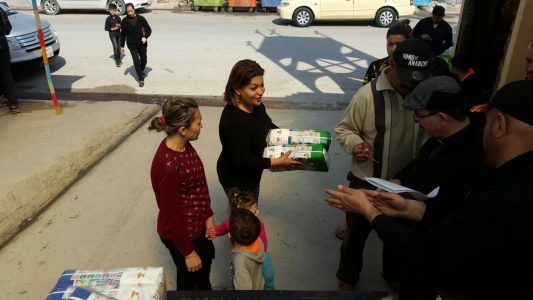 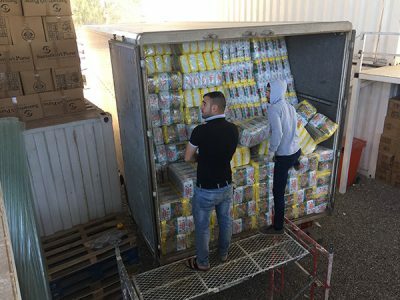 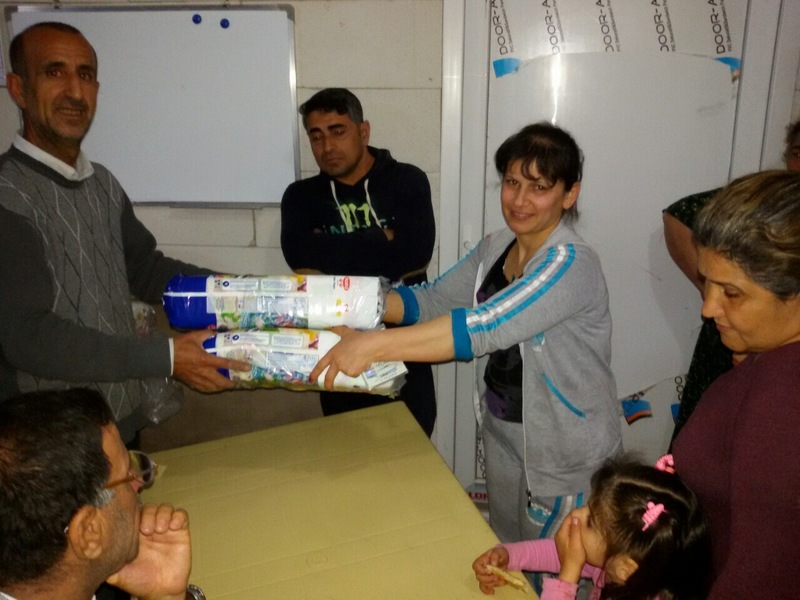 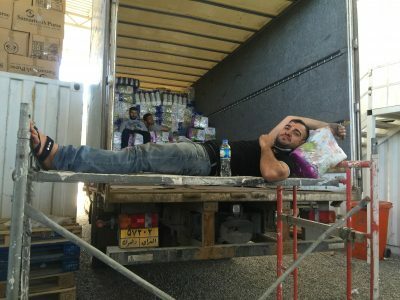 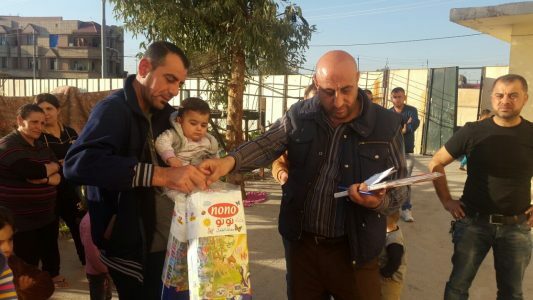 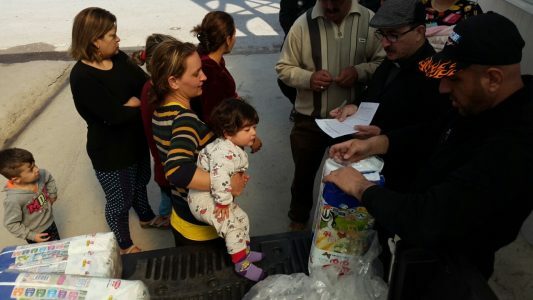 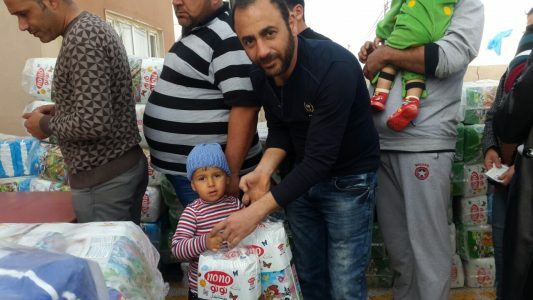 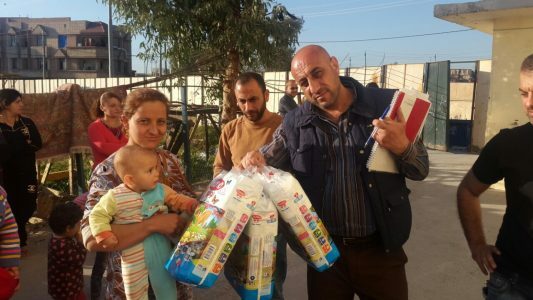 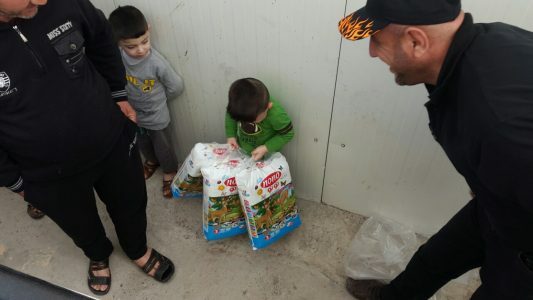 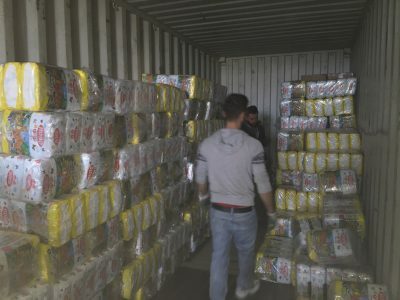 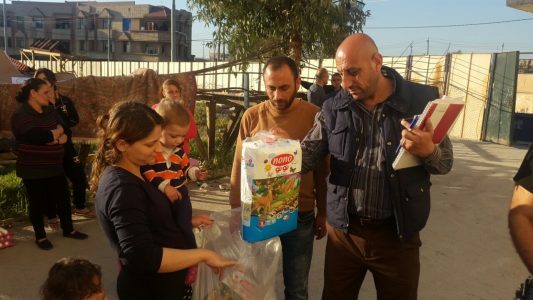 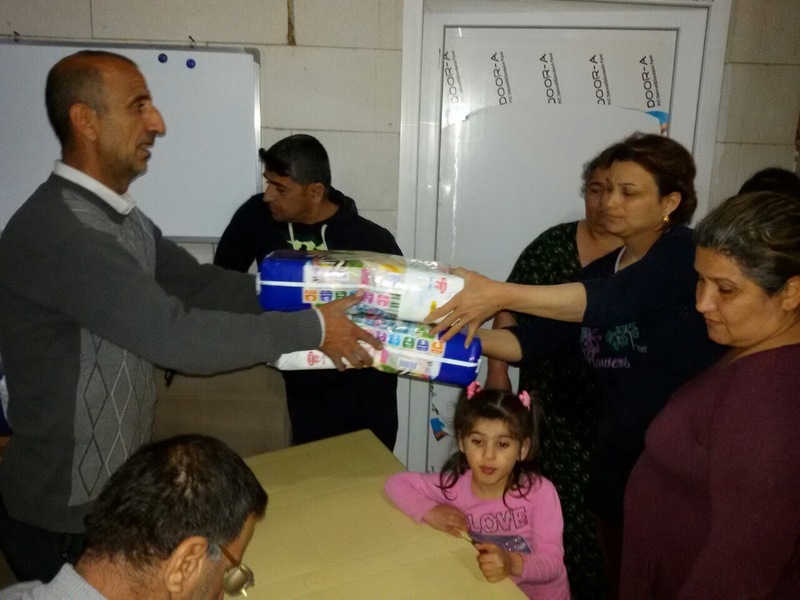 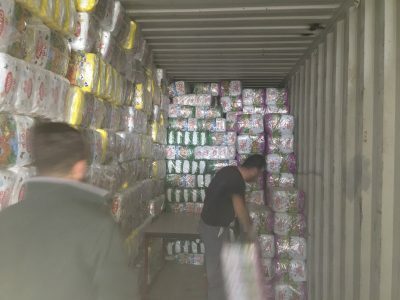 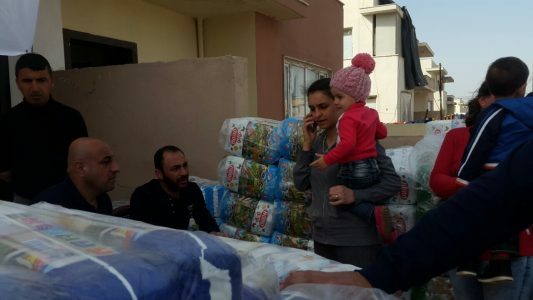 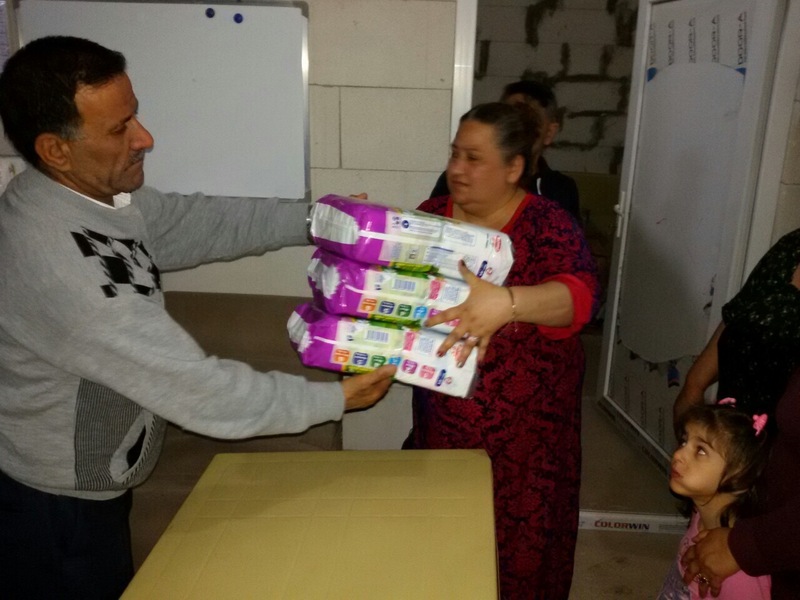 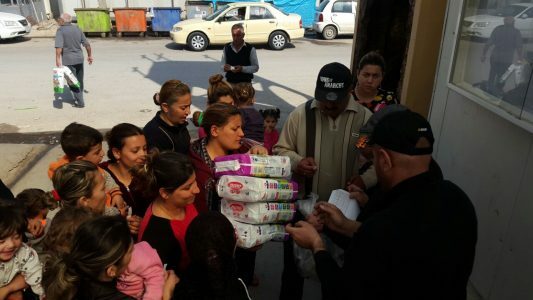 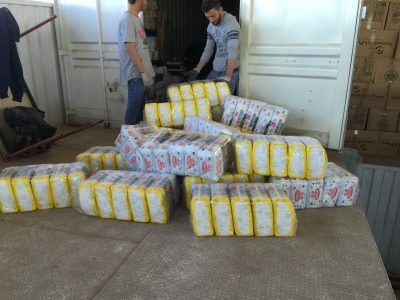 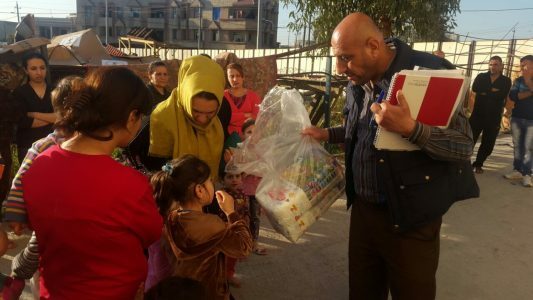 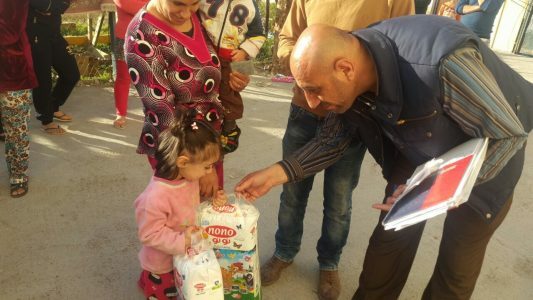 The Diapers for Refugees program aims to send 160,000 high quality disposable diapers to these Christian refugee families located in camps around Erbil every three months. 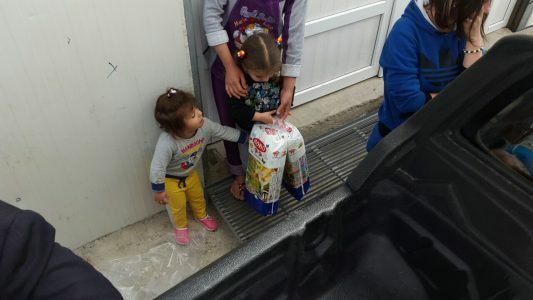 Families in these camps are dying from diaper rash because of the inability to wash cloth diapers with soap and clean water. 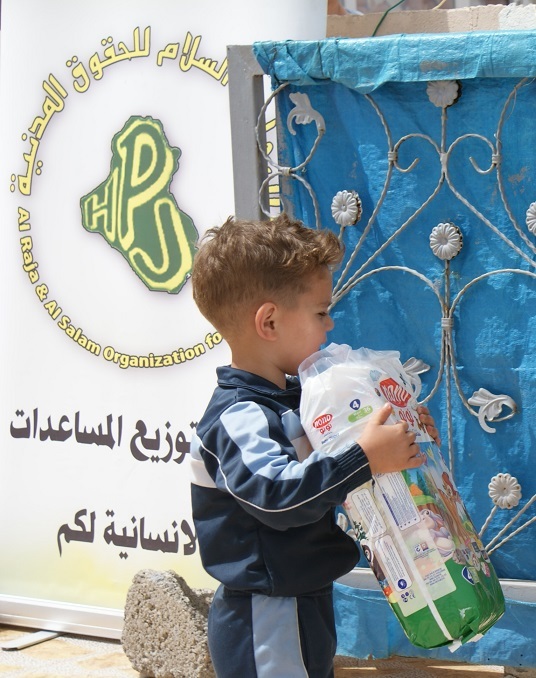 Due to the lack of diapers, mothers are forced to use donated clothing as diapers for their children, which still can’t be cleaned properly. 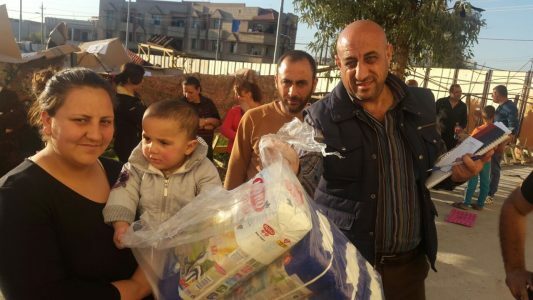 Christmas for Refugees program helps displaced Christians from Iraq, Jordan and Lebanon that are being ignored by Islamic run charities. 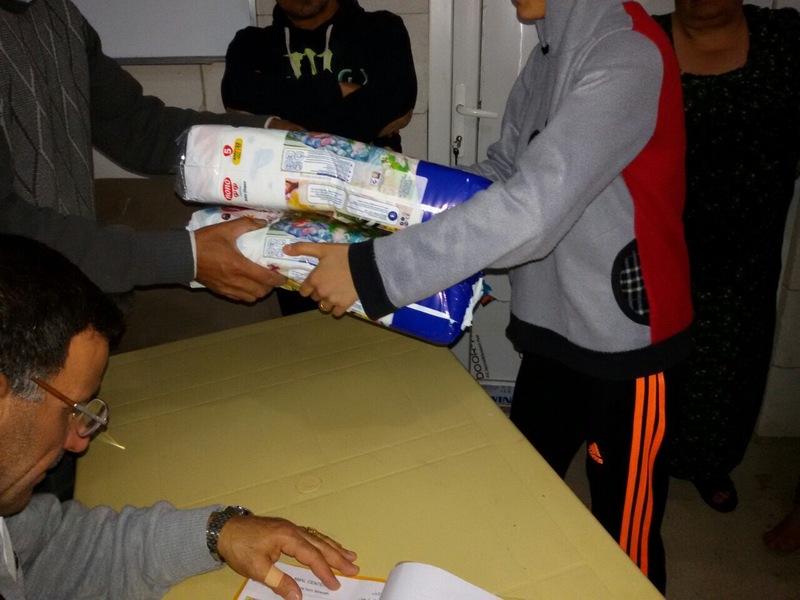 In 2013, 2014, Christmas events that included hot meals were served to Christian refugee children in Jordan and Lebanon. 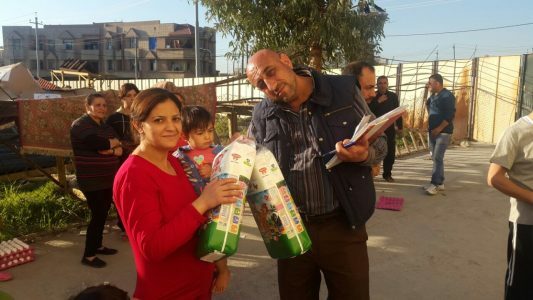 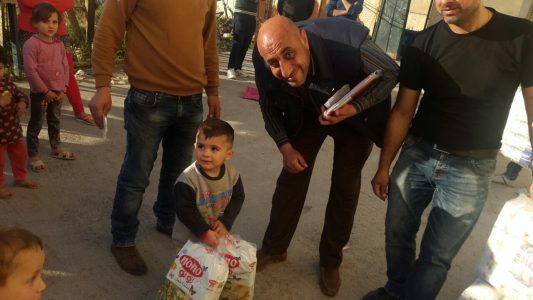 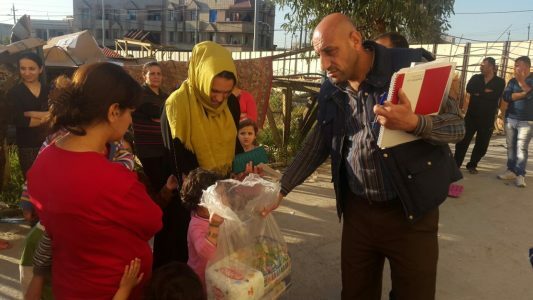 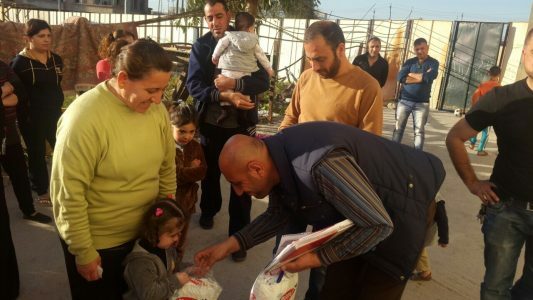 In 2015 the program was expanded to Christian IDP’s (Internally Displaced Persons) in Iraq who fled the Islamic State as the city of Mosul and Christians villages nearby were overrun. 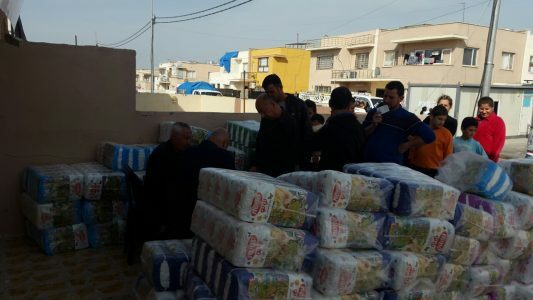 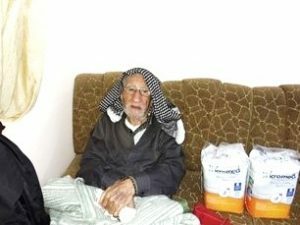 Much of the Nineveh Plain was also stolen from Christian families who fled to the Kurdish areas in the northeast. 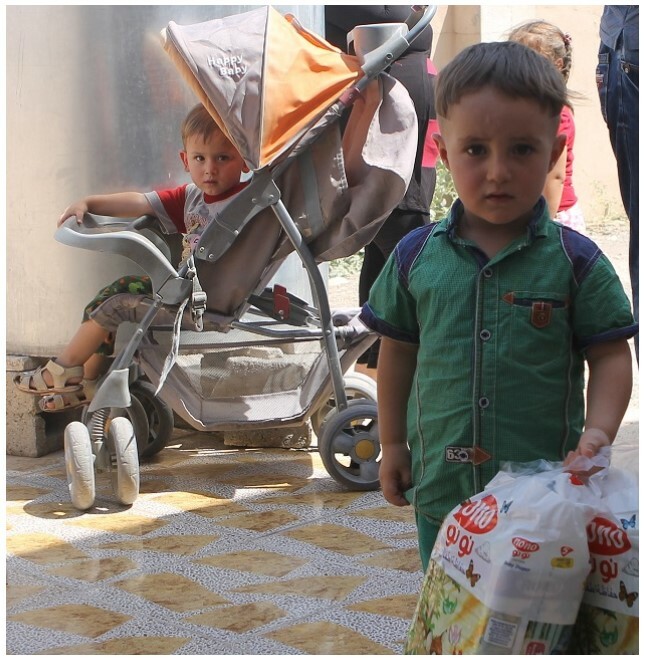 In 2016 the number of children served will be increased. 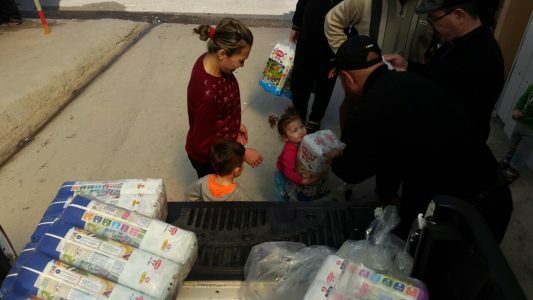 Please pray for the Christmas program this year and the safety of the children.